I need an example of scatter chart in silverlight with c# please provide me same. We are really need it in some urgent work. amol wrote: Please provide this ASAP. 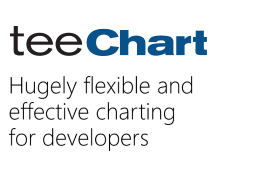 Steema technical support mission is assisting Steema customers with TeeChart usage, not implementing their charting projects. Also note that we always try to reply on a timely fashion to all technical support inquiries in this support forums, if you are looking for priority technical support you might be interested in Steema's Pro-Support plan.